HTC has recently tweeted a video teaser for the launch of upcoming flagship smartphone HTC One M10 (or HTC 10). The tweet also says “We’re obsessed… in a good way. #Powerof10.” In the second half of 2016, the company is also said to launch two new Nexus devices. While Samsung and LG have already unveiled their devices Galaxy S7 & LG G5 respectively at the MWC 2016, HTC has stayed back to launch their device at an exclusive event. There are numerous leaks and rumors about the HTC One M10, and now a Twitter handle by the name @xxminiwhooperxx who is a ROM developer for HTC devices had tweeted the important specifications of the device. According to her tweet, the device comes with a 2K (2560 x 1440 pixels) resolution display and the earlier rumors suggested it to be of 5.2-inches. Under the hood, the One M10 comes powered by 64-bit Snapdragon quad-core processor coupled with Adreno 530 GPU and 4GB of RAM. It comes in three different storage variants 32GB, 64GB, and 128GB while there is no information regarding the MicroSD card slot. The device is backed by a 3,500mAh battery that can give a day of normal usage. As earlier rumors suggested, the One M10 will feature a fingerprint sensor and will come integrated into the physical home button the front. The IR blaster is also included that can help in controlling the home appliance same as the remote controller. With the IP68 certification, the device will be waterproof and dustproof. It runs on the latest Android 6.0.1 Marshmallow with the Sense 8.0 UI laid on top. According to Evan Blass, the device will be launched in the U.S on May 9th, and he also hinted the device to be named as ‘HTC 10.’ Take this with a pinch of salt since none of them aren’t yet officially confirmed. 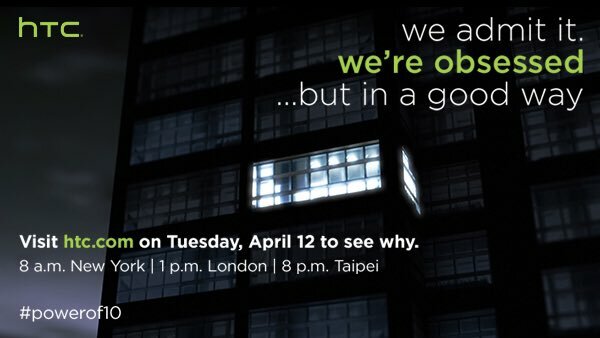 Update March 22: HTC has sent invitations for an event on April 12th, that’s going to happen in New York, London & Taipei. We will keep you posted on more updates when we are close to this date. Note: The above mentioned tweet is the source for this article’s featured image. The source for this article (@xxminiwhooperxx) has now updated that the mentioned details are not the final specifications of the device but they are just her expectations. So now we need to wait for some more days to get the actual specifications of the device.